Cody Callon, MSW, RSW, is a Senior Research Coordinator and Fellow with the St. Paul’s Hospital Goldcorp Addiction Social Work Fellowship at the BC Centre on Substance Use (BCCSU). He currently coordinates the At-Risk Youth Study, where he oversees all aspects of frontline operations. Since joining the BCCSU in 2004, he has been involved in a range of studies and roles. His research interests include social and structural determinants of health, grassroots community development, and treatment options for substance use disorder. 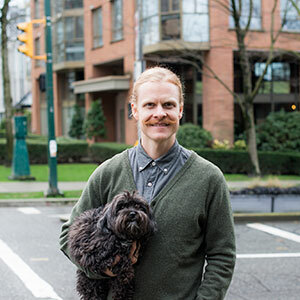 Before joining the team, Cody was Assistant Director of the LifeSkills Centre, operated by the Portland Hotel Society Community Services Society. He holds a Master of Social Work degree from the University of British Columbia and a Bachelor of Arts degree in Psychology and English from Simon Fraser University. In his life outside of the BCCSU, Cody is a competitive ultramarathon runner.